The name “UglyFruit” doesn’t make sense immediately. The finished product is far from ugly. The mason jars (which you can bring back to the Happiness Lab for a discount on your next purchase) are, frankly, adorable. But the apples Wu uses are ugly, which is why farmers couldn’t profit from selling them in grocery stores. Thousands of pounds of apples rot in orchards across Connecticut every harvest season because they’re too unsightly for consumers. Wu has managed to turn this excess into a resource, fodder for a business idea. She conceived the idea of targeting food waste after watching a John Oliver segment on America’s wasted produce. In her snug green sweater and delicate gold jewelry, it’s hard to imagine Wu—Cat to her friends—going apple picking. Wu doesn’t even like regular applesauce. She has a “super strong gag reflex” for the stuff (though she does love apple pie). So she made applesauce that she could actually eat: no mealy texture, no added sugars. Thousands of pounds of apples rot in orchards across Connecticut every harvest season because they’re too unsightly for consumers. She fancies herself the Johnny Appleseed of New Haven, but has little previous experience in agriculture. Before she enrolled in the Yale School of Management, she graduated from Wellesley with a double major in Economics and Political Science, then worked as a consulting analyst and for education non-profits. 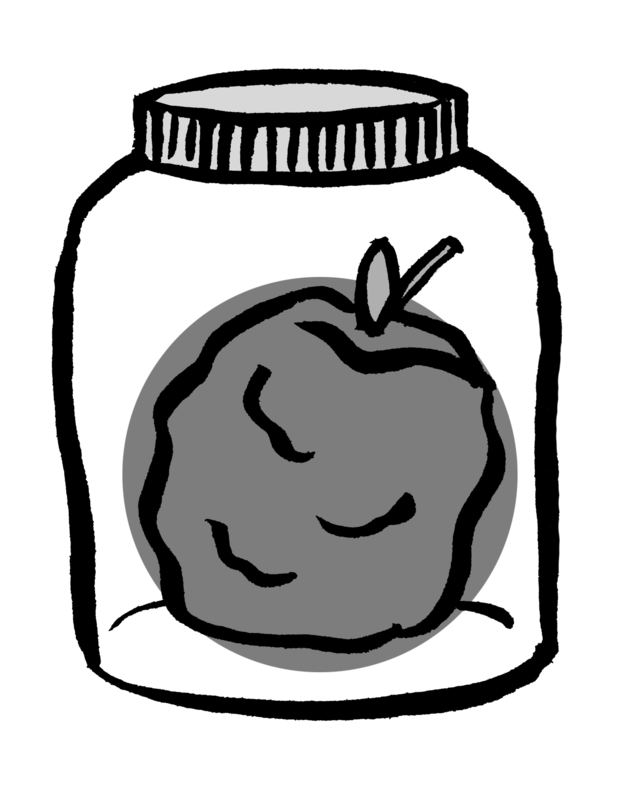 She’s successfully made applesauce, a staple of lunch boxes and old age homes, pretty hip. “It’s weird,” she said. “I’m known as the applesauce lady at SOM.” With a grant and mentorship from the Venture Creation Program at SOM, Wu has thrown herself into mission-driven business, seeking to profit and also do social good. She views UglyFruit as a “lifestyle brand”: its customers hypothetically live ethical, healthy, and socially minded lives, so they gravitate towards a snack that satisfies both their values and their appetites. At least, that’s the marketing strategy. It works for loyal customer and equally idealistic SOM student Hannah Grill: “This goes beyond turning apples into applesauce—this is about connecting people to the food they eat in a new way.” Through limited trials, Wu has sold over one hundred jars and has over eighty customers with direct delivery pre-orders. She plans to have product in mainstream grocery stores sometime this spring. When Wu talks about potential flavor experiments (“There’s so much you can do with apples”), UglyFruit seems less like a solution to a dire problem and more like an entrée to entrepreneurship. For all its novelty, UglyFruit is the outcome of the standard MBA mindset—find a hole in the market, make a business idea around it, and launch your product. Many of the other start-ups out of the SOM Venture Creation Program also employ this doing-good-by-doing-well business model: Braingrove provides a social learning platform, Sustainable Luxury Pearl creates luxury jewelry by restoring the natural pearl farming environment in China, and Maike Water reduces the brine discharge related to seawater desalination technologies. UglyFruit is not yet at the core, pun intended, of the SOM social enterprise start-up scene, but Wu is already testing new flavors. Next up in applesauce: vanilla earl grey. It’s not on the market yet, but Wu describes it as an “Asian-Japanese taste of more floral flavors,” and she’s catering to a female demographic. It’s the taste of next week’s success—light, sweet, and just a little zany. I like the mission and the strategy of the UglyFruit.